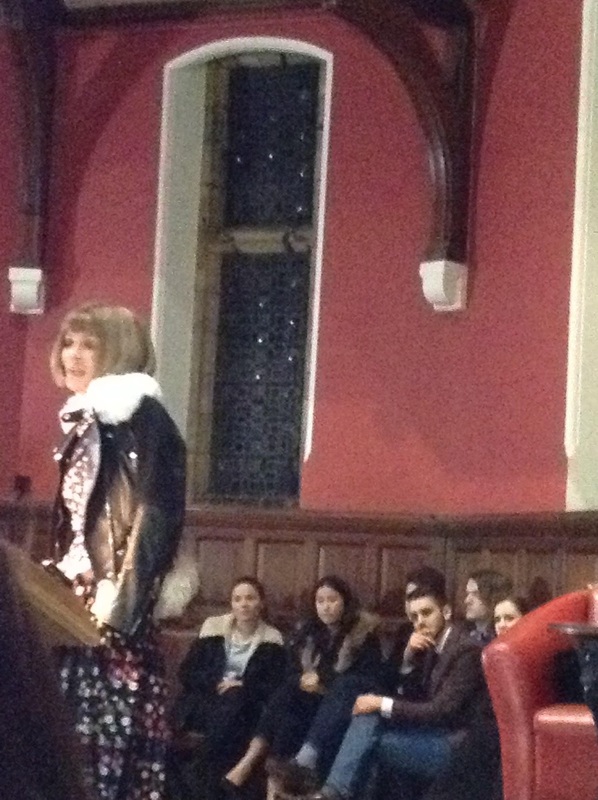 I got the amazing chance to see Anna Wintour at the Oxford Union on Tuesday. I learned so many valuable things from what she said, and it was amazing to sit just 5-10 feet from her..
Have a point of view: I definitely agreed with her as she spoke of having a unique point of view. Anyone can come into fashion and be the typical know-it-all, but if you don't have a point of view, then you won't stand out. Don't be afraid of working with leaders that contradict you: Anna spoke a bit about not being afraid to work with people that agree with everything you say. 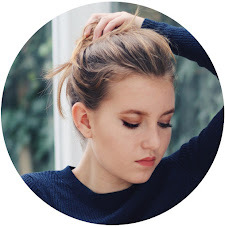 Have substance: I thought it was interesting the way Anna touched on substance, and the fact that a lot of famous celebrities have no substance. Don't be too specialized: Anna demonstrated this point by using Christopher Bailey as an example. He is the CEO of Burberry as well as designer. He is a man that does so much for the company, from designing to managing. She spoke of developing yourself in many areas, which can make you more valuable. Don't rely on social media: Something that Anna said that interested me was the way she spoke of technology. She spoke about how many people will ask to take a photo with her, before wanting to even shake her hand or have a conversation. Don't let technology interfere with your life. Anna then took some questions, which was one of my favourite parts to see her honest answers. She really showed a sassy side. What Anna Wintour thinks of Kimye and celebrity cover photos: I think that Anna really knows what sells and what works. She spoke of substance at the beginning of her talk, but she also revealed that she has allowed many celebrities to grace the covers of Vogue. What Anna Wintour thinks about gender equality in fashion: Anna answered this question in a way that was a bit surprising to me. She said that she thinks that there is equal pay amongst women and men in fashion, but she didn't think that there are enough women creatives in the industry. On being portrayed in the film, The Devil Wears Prada: Anna said she was honored to be played by Meryl Streep, and overall she thought it "amusing."